Enter your email for our bi-monthly free newsletter that provides valuable individual public company research, alternative investment ideas, and selective private placement deal flow. Analyzing securities and alternative investments such as venture capital and private equity are a mixture of art and science. Let Elite Investments do the heavy lifting on diligence and research then you decide what makes sense to own in your portfolio. Between our Editor’s vast relationships and resources you will hear about themes and companies that are exceptional and unique. We generate new actionable ideas from some of the smartest institutional investors in the world. It takes time to properly research investments. We roll up our sleeves and dig deep into filings, talk to management, and reach out to the largest shareholders in companies we like to gain vast insight into the opportunities. Piggyback on our due diligence. Our Editor has nearly 20 years of experience as a professional investor and knows how to analyze public and private companies. Eric and his team at Phenom Ventures have become a trusted partner of ours. Eric Muschinski is the Founder and Editor of Gold Investment Letter, Elite Investments, and the Black Gold Letter. He is Founder and CEO of Phenom Ventures LLC, and CEO/Co-Founder of Investor Media LLC. Phenom Ventures is Eric’s holding company which operates divisions such as Phenom Capital Advisors, Phenom Data, and Phenom Newsletters. 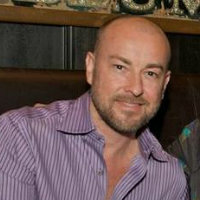 Eric serves as the Executive Chairman of the development committee and on the board of directors of Changefire (Changefire.org), a non profit organization based in Los Angeles. Eric is also a Board of Directors member at Equities.com and an Advisor to the Board of Directors at Patriot Gold Corp, a publicly traded company on the OTC. Prior to launching his entrepreneurial endeavors, Eric also had over 15 years of diverse experience in the securities industry. Initially as a general securities broker, and later becoming recognized as a specialist assisting the needs of high-net-worth investors, Eric focused his practice on alternative investments, including venture capital, private equity, and alternative investment management, exclusively for accredited investors and institutions. Prior to Waveland Capital and Energy Partners, where he worked from 2006-2011, Eric was Vice President and Co-Founder of GunnAllen Venture Partners where he worked with financial advisors to enhance their practice by understanding the firms offerings and incorporating late-stage private equity and venture capital into their clients portfolios. Prior to GunnAllen, Eric served in the Private Client Group with McDonald Investments Inc., and another boutique investment bank headquartered in Chicago. Eric specializes in writing about alternative investments, private equity, venture capital, and equity trading and investing, with a focus on the natural resources, mining, technology, and healthcare sectors. Eric studied Business Economics and Psychology at the University of Wisconsin-Whitewater. Elite-VIP’s are privy to every investment Eric makes for his public and private portfolios. Subscribe to an Elite membership and enjoy the benefits today. Receive recommendations from all Phenom Newsletters, including Elite Investments, early and have access to Eric 24/7. Receive our complimentary bi-monthly e-letter that includes actionable investment ideas and special situations. Save 20% with a premium annual subscription vs. a quarterly subscription. I receive more than a few newsletters but what sets your apart from the rest is your absolute honesty from a personal perspective. It's so obvious that you truly care about your subscribers. It's as though we're sitting in my den together with you sharing your heartfelt feelings and advice without pulling any punches and with the only intent being to sincerely help me make money and stay sane during these turbulent times. Sharing those personal anecdotes about your previous experiences as a young broker were priceless. There's no question that your intent is unquestionably to help us subscribers make a lot of money, while at the same time encouraging and reassuring us to stay the course and prepare for the upcoming once in a lifetime opportunities. I suppose it's your transparency that I appreciate the most. Also it seems that everything you share is not there to impress or fill space but always to educate and benefit us in a specific way. I just want you to know that I have made over $200,000 on Zen and I have bought your research and always read with anticipation your views on this stock. I very much appreciate your insights on both the stock and the process of buying/selling. The emotions of wanting to make big money on a great idea versus the emotional tug to sell and take profits quickly is a constant challenge for me. I’m at a stage where the profits are very material for me and will literally pay for the difference in house price in our upcoming house move in late October. I thank you and very much appreciate subscribing to your Letter. Eric has been an asset to me both financially and personally. His investment recommendations are always backed with substantiated reasoning and over the last decade he has produced solid results for my financial portfolio. Definitely a rock solid choice for you when it comes to maximizing your finances. I have worked with Eric for over 8 years now. Eric is always discovering new angles and has his finger on the pulse of the next big investment. If you are looking for a more aggressive approach to investing, with a higher upside on returns, I highly recommend Eric. Eric is trustworthy, a great connector, and a very good resource for private investment knowledge.